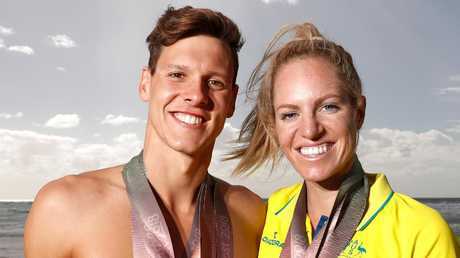 SWIMMING's golden couple Emily Seebohm and Mitch Larkin have separated after more than two years of dating. Seebohm, 26, confirmed the split in an Instagram post today saying the pair had gone their "separate ways" in light of "current events". It comes the morning after the pair shared the runway for Treasury Brisbane's ICON fashion series on Thursday night. "I would like to take this opportunity before more speculation and rumours are spread. Due to current events that have occurred, Mitch Larkin and I have decided to end our relationship and go our separate ways," she wrote. "As always I appreciate your support and ask for understanding and privacy on this matter." Larkin is yet to comment on the matter. 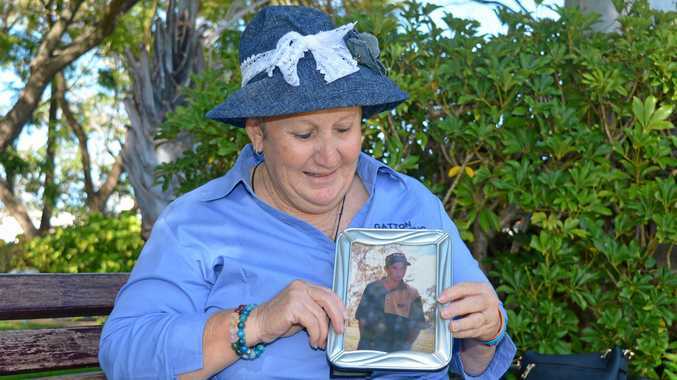 The pair own a house together in Hendra, which they bought late last year. They had been dating since 2015 after growing up in the same swimming circle in Brisbane. The pair have become a poster couple of the Australian swim team and regularly attend social events together in Brisbane. "We've known each other for most of our lives," Larkin said earlier this year. "We'd always liked each other but we were more open and honest and everything clicked," he added of their courtship. 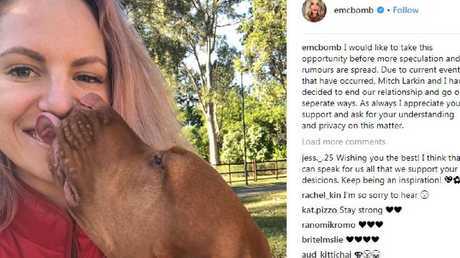 The backstroke champions have supported each other through their Rio Olympics and Gold Coast Commonwealth Games campaigns and through Seebohm's battle with endometriosis. Bronte Campbell, Giaan Rooney and Sam Squiers are some of the many friends who have commented on Seebohm's post.